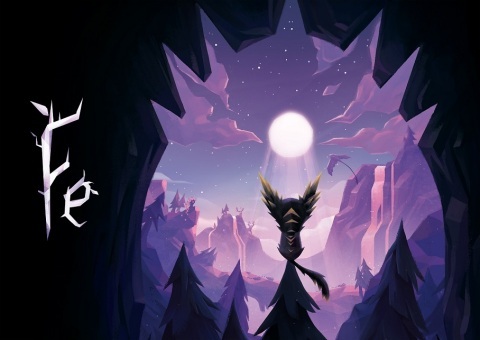 REDWOOD CITY, Calif--(BUSINESS WIRE)--Today, Electronic Arts Inc. (NASDAQ: EA) and the imaginative Swedish studio Zoink Games announced that Fe, a seamless narrative adventure game is now available for download to players worldwide on Xbox One, PlayStation 4, Nintendo Switch, and Origin for PC. Fe is the first game to launch as part of the EA Originals program, announced at EA PLAY 2017, which aims to bring players unique and memorable gaming experiences from the best independent studios. Named after the game's protagonist, players will run, climb, and glide through the Nordic forest as the cub-like creature, Fe. Uncover the secrets of Fe’s origin while protecting the ecosystem from the menacing machines, the Silent Ones. As Fe embarks on a voyage of discovery, the wordless experience requires Fe to learn to speak the language of the forest by singing in-tune with various fantastical plants and animals, each of which offers unique gameplay benefits that will help along the journey. Uncover the mysteries of nature in a world worth exploring as Fe happens upon ancient ruins, hidden artifacts, secret places, and new powers. Each experience offers a hand-crafted short story, wrapped in a visually stunning, memorable, and fun environment. Discover Fe’s origin and learn that nothing is what it first seems. Fe is rated ‘E’ for Everyone by the ESRB and is available now for $19.99 on Xbox One, PlayStation 4, Origin for PC, and Nintendo Switch. To find out more on Fe, please visit the blog at https://www.ea.com/games/fe. Visit https://www.EA.com/EA-Originals for information and to keep up-to-date on EA Originals. Ultimate Team, EA SPORTS, Battlefield, Battlefield 1, The Sims, Need for Speed, Dragon Age, and Plants vs. Zombies are trademarks of Electronic Arts Inc. NBA, John Madden, NFL and FIFA are the property of their respective owners and used with permission.